Congratulations! You have done it — you have started your business and are well on your way to fully understanding how to best run that business! It is likely that you have measures in place for accounting and other business matters, but do you have an idea in mind of how to organize your business records? Further, are you aware of the information and paperwork you should be holding onto and for how long? Keeping record of and properly storing clear documentation is always good business practice and is an important responsibility of every business owner. There are some records that you are required by law to keep, and there are some that are not required by law. Although there are some records that businesses are not required to maintain, not having them can potentially cost a company time and money in the long run. Poor record keeping can lead to disputes within the company and the need for additional resources to conduct some form of conflict resolution. When it comes to tax season, good record keeping can help with preparing your financial statements and tax returns, keep track of your expenses and deductions and, in general, provide you with an understanding of how your business is progressing. • The corporation’s most recent annual report. This list is not exhaustive, however, it does provide the basics. Additionally, corporations must keep documentation regarding any licenses or permits that are required to operate the business. As an LLC, you have limited liability in your company. It is a safeguard that you will want to maintain (it could also have been one of the reasons that you chose to form an LLC versus forming a corporation) and so in keeping in compliance, you will be able to preserve that limited liability. There are some transactions that you will perform on behalf of your business that will require proper documentation and authorization. These include basic transactions related to your financials, such as opening a new bank account for the business or applying for a line of credit. You will also need records if you want to enter into certain contracts, for example selling your business or entering into a lease agreement. Of course, if you are subject to a tax audit, you will be required to produce records. If you have clients in your business, it is best practice to keep documentation, either in paper form or electronically. Whether there are business agreements in place or simply records of the work and payment exchanged, records can help you as a form of note-keeping for future interactions with your customer. In any business there are bound to be contracts — with employees, suppliers and/or clients. Both you and the other party in the contract should keep a copy. Consider using business accounting software to keep track of financial records and statements, even if you have an accountant or bookkeeper. Other records can include: inventory logs, trademark registrations and patents, emails, business communications and personnel records. As a rule of thumb, seven years is a perfectly sufficient period of time for keeping records. 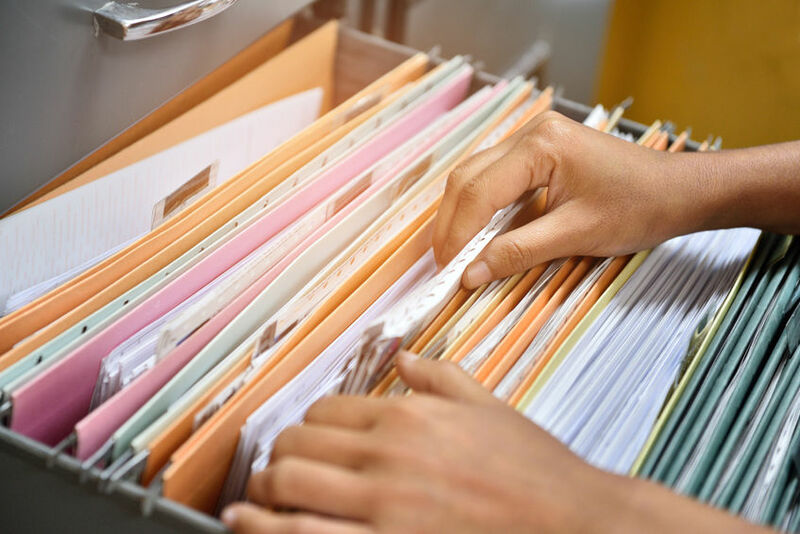 Make sure that all information in your paperwork is complete and accurate, and that you have a system in place for keeping records moving forward. Efficient record keeping allows you to easily file away new paperwork and quickly reference records you need. If you have recently started a business or are thinking of doing so, contact our St. Petersburg office by completing the form below or via phone at 727-537-6818 to schedule an appointment with one of our experienced business attorneys. We can ensure that you are keeping the records you need to for your business, and filing paperwork appropriately with the State.